Solid cherry and cherry veneer with walnut inlay. 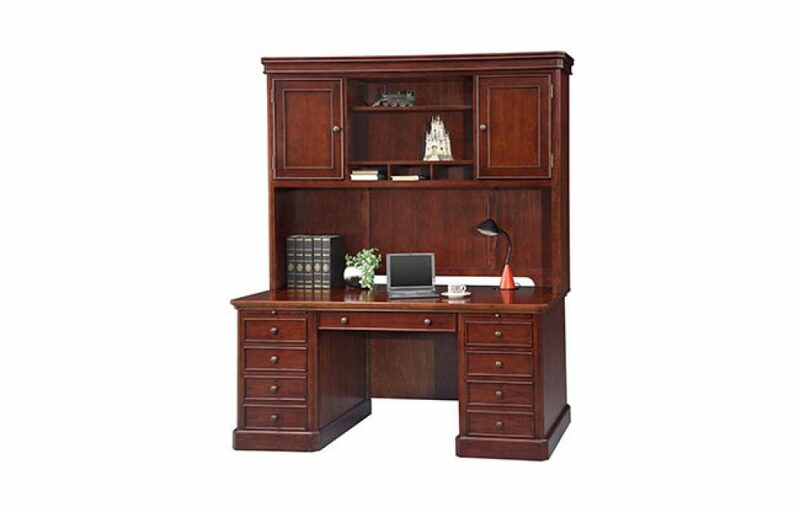 Sizes range from 47″ to a 72″ Desk with Return. Features vary from desk to desk, with the same excellent quality and materials as all of Winners Only furniture.